Always lost in her own world, Roushni Sarkar found refuge in the magical alleys of Bengali literature as a child when everyone else was at play. Life became more adventurous when she was pushed to explore the narratives beyond boundaries while doing her graduation and master's. Now she has ventured into a realm that she had always stayed away from. Watching and reading about films made on native soil now give her so much thrill that she has a movie title for every situation she comes across. At times, she also hears background music when she meets some real-life characters! On Satyajit Ray’s 27th death anniversary today, a look at a valuable discussion that throws some light on the filmmaker's thoughts behind maintaining certain temperaments in his films, choosing newcomers, interacting with them and making them absorb his own world of creations. In Raja Chanda’s Kidnap, Maitra sets out to unravel a human trafficking racket, but gets kidnapped herself. The festival will be held from 24 to 28 April at Nuovo Cinema Aquila in Italy. It will also screen Hindi films like Bahubali: The Beginning (2015), Udta Punjab (2016), Pink (2016), Hindi Medium (2017), October (2018), Bahubali :The Conclusion (2017) and Kalank (2019). Chatterjee was honoured for her consistent contribution to Bengali cinema and theatre for the last six decades. A regular artiste at the Akashvani Kolkata, Pal is best known for his rendition of ‘Kotoi Rongo Dekhi Duniyay’ from Satyajit Ray’s Hirak Rajar Deshe (1980). An alumnus of Prague Film School, Abhiroop Basu elaborated on the design of the technical aspects of the film and shared his experience of working with the experienced Adil Hussain and the newcomer Avishek Jain. Dev, as he is popularly called in the industry, thanked Surinder Singh for producing the film that has been originally conceived by Raja Chanda and dialogue writer NK Salil. Elaborating on the genesis of the story of Kidnap, Salil said director Raja Chanda called him up at midnight once, expressing his wish to make a film on women trafficking. The teaser begins with the declaration that the state has topped the charts in human trafficking this year. The actor speaks about the craft of acting, the experience of working with filmmaker Srijit Mukherji, and why stardom doesn't count for much anymore. Director Srijit Mukherji's Vinci Da delivers a mixed experience in terms of expectation, but manages to engage. The film was re-released on 5 April and has been running successfully with various houseful shows in and outside Kolkata. 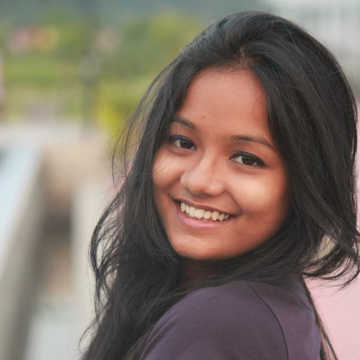 The short film, featuring Ratnabali Bhattacharjee and Adil Hussain, achieves its goal as it manages to convey the narrative without any dialogue, only through visual depictions.